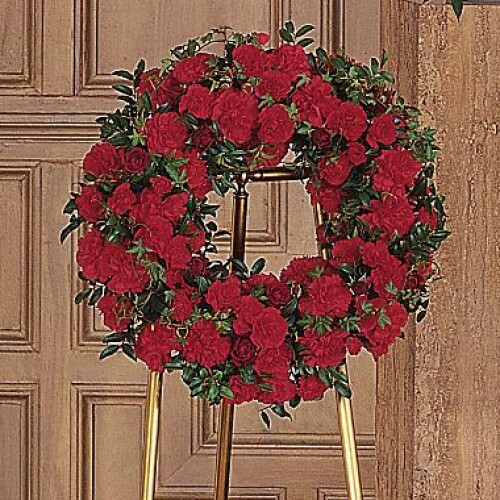 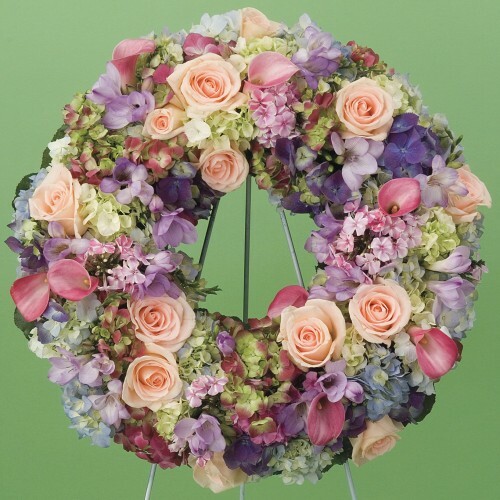 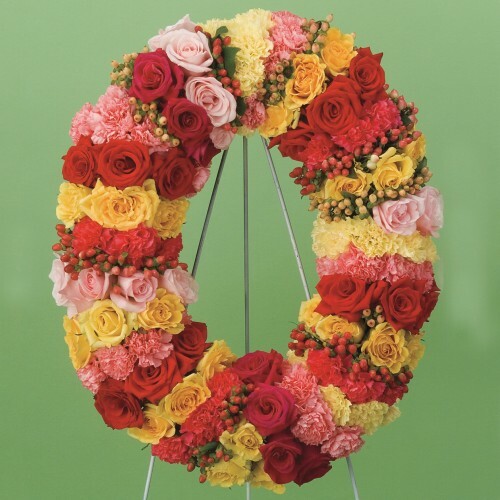 This circle of life features a blossoming array of red spray roses and carnations, in honor and reme.. 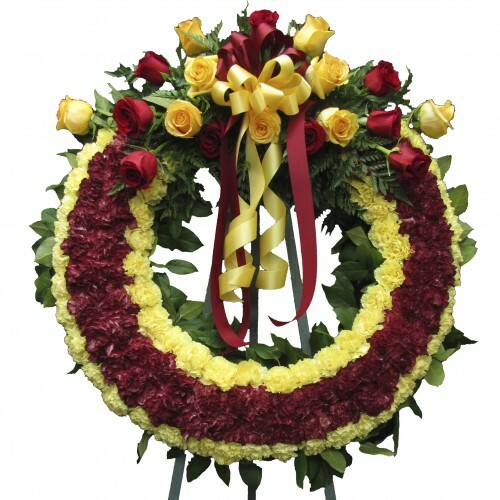 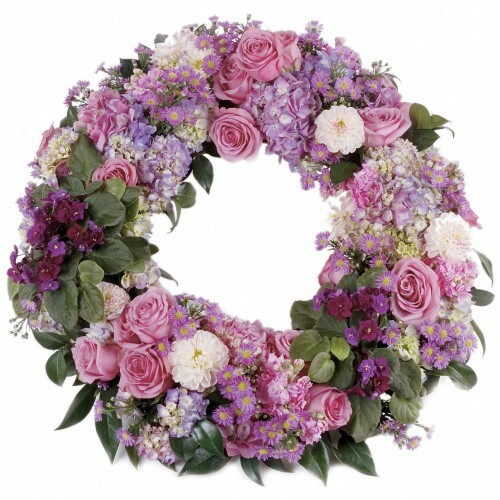 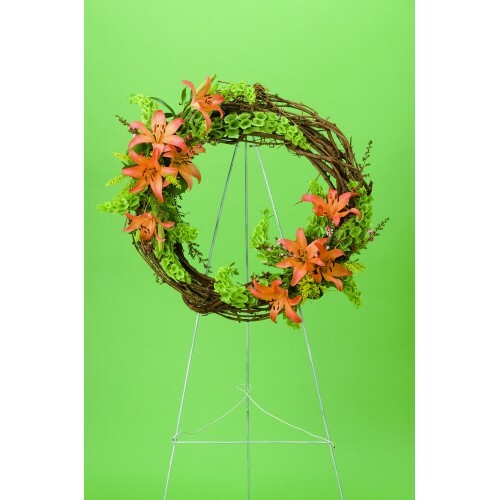 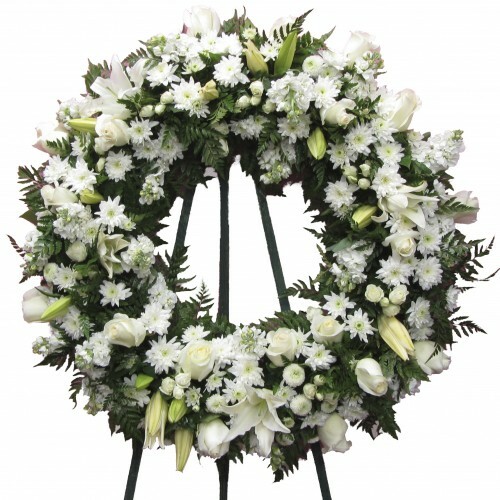 Remember your most precious memories with your loved one with our "Fruitful of Memories" wreath. 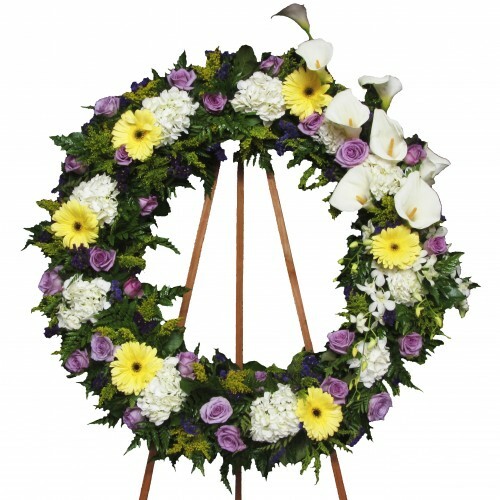 Col..